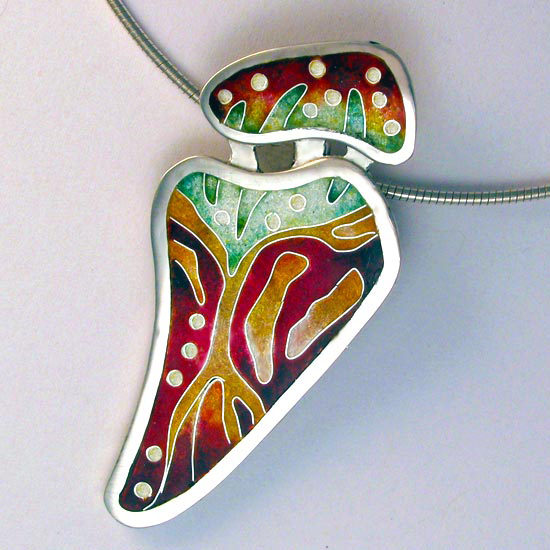 Cloisonné enamel – combination necklace/brooch. 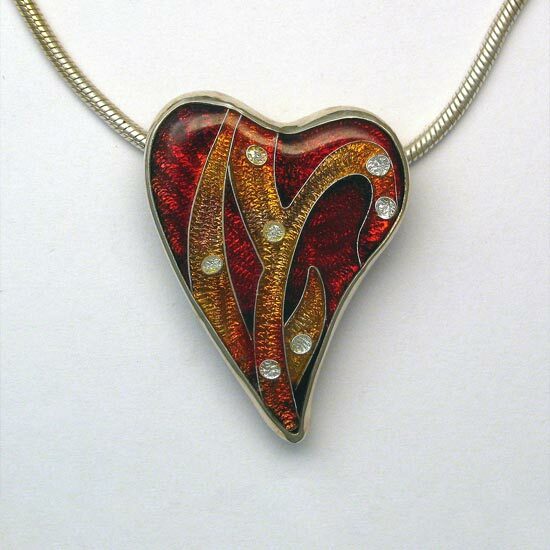 Comes with a sterling silver Omega chain. I really enjoyed making this piece. 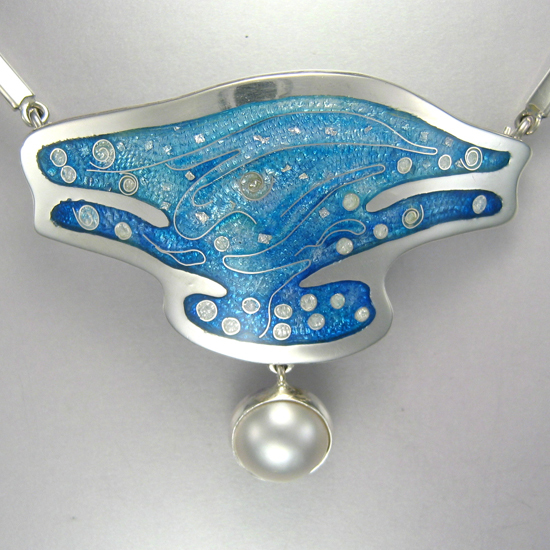 The Australian landscape was my inspiration, as is the case for much of my work. 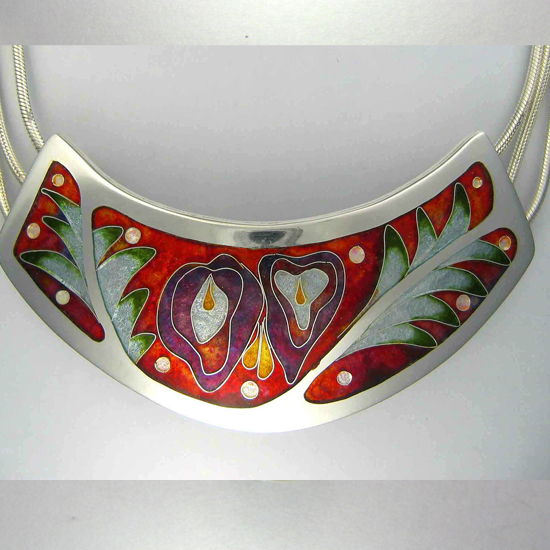 Vitreous enamel, fine and sterling silver … beautiful! !